Twisted is the 8th book in the Steel Brother Saga and is not a stand alone book. 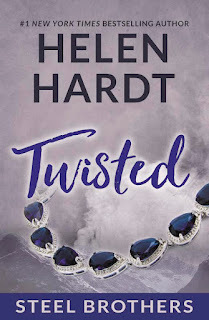 I have read all 7 prior books and Helen Hardt always leaves you wanting more with a brilliant cliffhanger or plot twist. Twisted continues on the story of the 3 Steel brothers with Ryan at the forefront of this book telling the story from his perspective and then Ruby's perspective, a detective that crosses paths with Ryan and becomes his love interest. Twisted manages once again to leave off with a cliffhanger at the end leaving us desperate for answers! I cannot wait to get my hands on the next book Unraveled when it comes out in February in hopes we get to the bottom of this mystery! 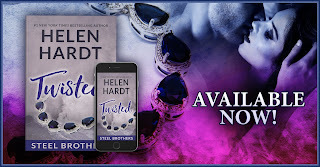 Read the prior books in the Steel Brother Saga Series and other books by Helen Hardt here!